The marijuana industry is creating a new set of entrepreneurs, as you can now work out at marijuana gyms or hire weed wedding planners. For the spring 2019 semester, UConn students can enroll in "Horticulture of Cannabis: from Seed to Harvest." This cannabis course will be an introductory level offering, which will make it available to a wide range of students. Professor Gerald Berkowitz will teach the course, and he plans to bring in a series of industry experts to talk about growing cannabis in legal markets. Administrators decided to offer the cannabis class because of tremendous student demand, according to HighTimes.com. 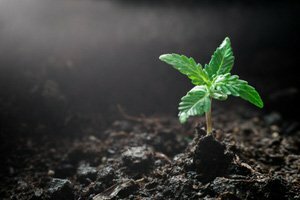 Dispensary owners are cleaning up right now, earning well over $1 million annually, according to CannabisTrainingUniversity.com. For students who take cannabis classes, they could leave college with the potential to earn six-figure salaries in their first year on the job market. Grow masters, the individuals responsible for cultivating cannabis, can earn a minimum of $100,000 per year, according to Forbes. Extraction technicians who turn cannabinoids (the psychoactive ingredient in cannabis) into solid, semi-solid, or liquid forms, can earn up to $125,000 per year. The cannabis industry is creating life-changing wealth. But you don't need to go back to school to get in on this industry's life-changing potential. Canada is a day away from implementing its historic new marijuana legislation. Don't miss your shot to get in on the ground floor of what could be the biggest market shift in our lifetimes. In this urgent briefing, you'll discover exactly how to position yourself to cash in… including the top three stocks to buy right away. new to cannabis teach me!